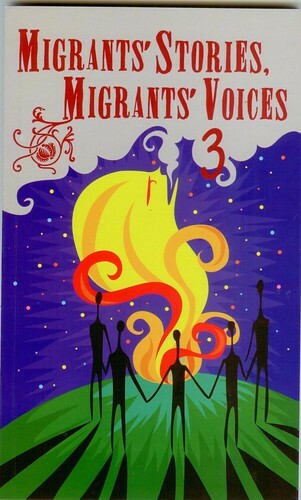 Migrants' Stories, Migrants' Voices 4 presents 10 stories written by migrants and members of their families. It talks about the different and members of their families. 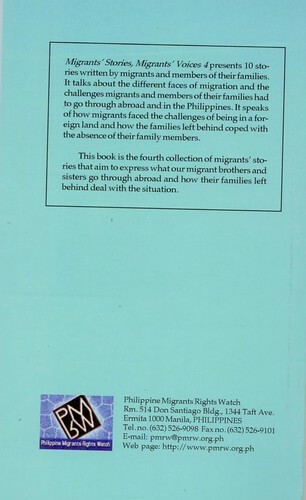 It talks about the different faces of migration and the challenges migrants and members of their families had to go through abroad and in the Philippines. It speaks of how migrants faced the challenges of being in a foreign land and how the families left behind coped with the absence of their family members. 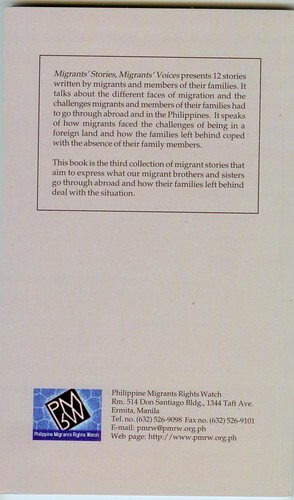 This book is the fourth collection of migrants' stories that aim to express what our migrant brothers and sisters go through abroad and how their families left behind deal with the situation. 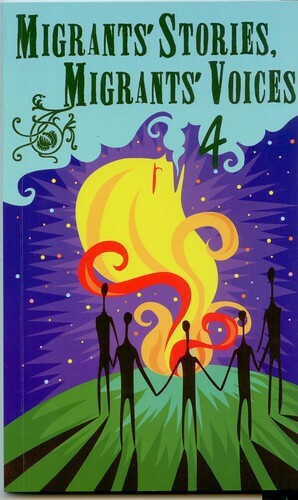 This book is the third in a series of stories of overseas Filipinos and members of their families. It offers twelve stories of men and women who each have had an experience about migration. Each of the stories is an account of individual journeys and encounters; those that are both happy and sad, exciting and difficult, inspiring and painful. Each is a reflection of Philippine society – the poverty and unemployment, the compromised laws and policies, the attempts at filling in gaps – that brought about the push for migration, and resulted in misery for some and fulfilment for others.